In a perfect world, you'd be able to easily swap out parts based on what kind of riding you feel like doing that day. But guess what? 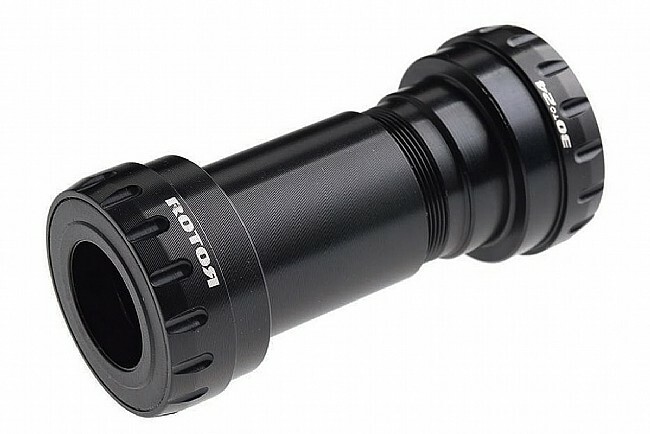 In a less-than-perfect world, for you Rotor designed the BB3024 for your BB30 shell to accommodate your cranks with a 24mm axle. The BB 4224 is the "yes" component to "Is this compatible with my BB30 bottom bracket for a 24mm axle?" Designed to work with BB30 bottom brackets. Compatible with 68mm road shells. Designed to work with Rotor and Shimano 24mm cranksets.